It isn’t easy being a caregiver, especially for a mesothelioma patient. In mid-December, the importance of family caregivers became recognized when the House and Senate passed the RAISE Family Caregivers Act (H.R.3759). There are over 40 million caregivers in the United States that provide unpaid care to their loved one. For instance, a mesothelioma caregiver may quit their job or pull from their retirement to help care for their family member. With that security of income gone, they may find themselves facing a financial dilemma. The RAISE Family Caregivers Act aims to help in these troubling times. It will provide all types of family caregivers with the support that they both need and deserve. Caregivers wait anxiously across the country as H.R.3759 is in its final steps of becoming a law. Currently, the bill is en route to be reviewed by President Donald Trump. 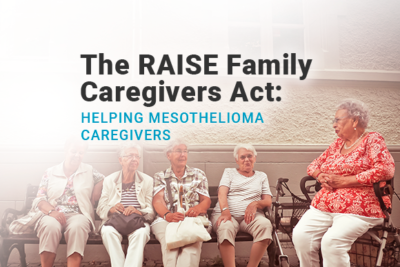 What is the RAISE Caregivers Act? The bill has received a lot of support, especially from cosponsor Congresswoman Elise Stefanik and AARP. “Caregivers raise the standards of living for seniors and those who are suffering, and we owe them our gratitude. I’m proud to support this important, bipartisan legislation that will help better support our nation’s family caregivers,” said Stefanik. Hear what AARP’s Senior Legislative Representative, Rhona Richards had to say about the bipartisan RAISE Family Caregivers Act when it was first introduced to the House in September. What Will the RAISE Caregivers Act Do? The RAISE Family Caregivers Act will implement a strategy that will help aid family caregivers. 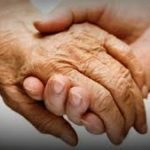 It plans to encompass the actions that the government, healthcare providers, communities, and employers can take to support someone that is assuming the role of a caregiver. Caring for a mesothelioma warrior can be demanding and takes a lot of patience. There is a constant responsibility of monitoring your loved one’s health, managing their medication, and helping through their healing process. Caregivers must embrace the good and the bad that is associated with their duties. According to AARP, many caregivers don’t even receive any training on how to properly care for their loved one. You can show your support by informing your legislative leaders. You can even use this form on AARP’s official site to let senators know how important the RAISE Family Caregivers Act is to you. Nobody wants to hear that they have cancer. In many circumstances, both the patient and their loved ones are not truly aware of the journey that lies ahead of them. Mesothelioma affects approximately 2,000 to 3,000 people in the United States each year. In many situations, it impacts the lives of the veterans that once served our country. When a loved one receives a mesothelioma diagnosis, the real meaning of family and support is truly engaged. Behind every mesothelioma warrior is a strong caregiver or series of individuals that help their loved one during their medical journey. House Passes RAISE Family Caregivers Act. Stefanik.house.gov. Retrieved from: https://stefanik.house.gov/media-center/press-releases/house-passes-raise-family-caregivers-act. Accessed: 01/10/2018. Caregiver Statistics: Demographics. Family Caregiver Alliance. Retrieved from: https://www.caregiver.org/caregiver-statistics-demographics. Accessed: 01/10/2018. Caregiving in the U.S. National Alliance for Caregiving. Retrieved from: http://www.caregiving.org/wp-content/uploads/2015/05/2015_CaregivingintheUS_Final-Report-June-4_WEB.pdf. Accessed: 01/10/2018. S.1028 - RAISE Family Caregivers Act. CONGRESS.GOV. Retrieved from: https://www.congress.gov/bill/115th-congress/senate-bill/1028/text. Accessed: 01/10/2018. H. R. 3759. U.S. House of Representatives Document Repository. Retrieved from: http://docs.house.gov/billsthisweek/20171218/HR3759.pdf. Accessed: 01/10/2018. H.R.3759 - RAISE Family Caregivers Act. CONGRESS.GOV. Retrieved from: https://www.congress.gov/bill/115th-congress/house-bill/3759. Accessed: 01/10/2018. What The New RAISE Family Caregivers Act Will Do. Forbes. Retrieved from: https://www.forbes.com/sites/nextavenue/2018/01/10/what-the-new-raise-family-caregivers-act-will-do/#588e663370b9. Accessed: 01/10/2018.